In the village of Tell, in the northern West Bank district of Nablus on Thursday, Israeli troops invaded and began to open fire on students as they left school after classes let out. 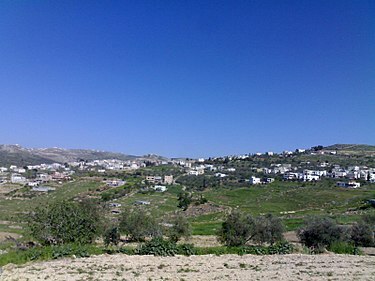 The invasion of the village came in conjunction with an attack by Israeli paramilitary colonial settler forces on the Nablus-Qalqilia road near the village. The paramilitary forces came from the nearby illegal Israeli colony of Yitzhar, constructed on stolen Palestinian land. The soldiers invaded the village just as school was letting out, and immediately began firing tear gas on the students from Tell High School as they ran out of the school gates. The reason for the assault on the students remains unknown – the army issued no statement as to why they had invaded the village, or why they targeted Tell High School. Some of the students from the school responded to the tear gas and the military invasion by picking up stones and throwing them toward the armored vehicles of the heavily armed soldiers. At this point, the soldiers began firing live ammunition toward the students. According to Ghassan Daghlas, a Palestinian official in charge of monitoring settler violence for the Nablus governorate, the Thursday attack by the paramilitary settlers, which coincided with the military invasion of the nearby village, involved Israeli paramilitary forces throwing rocks at Palestinian vehicles and blocking the main road.